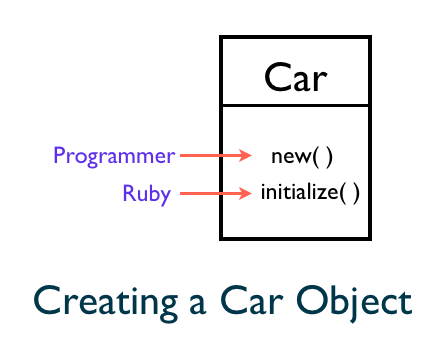 In this chapter, you will learn how to create an object and the initialization process. The code answers those questions by initializing the variables. How do we initialize instance variables? Where do we initialize them? Let&apos;s discuss about them now. The parameters to the initialize method is used to assign initial values to the attributes of an object. Instance variables spring into existence when they are initialized for the first time. 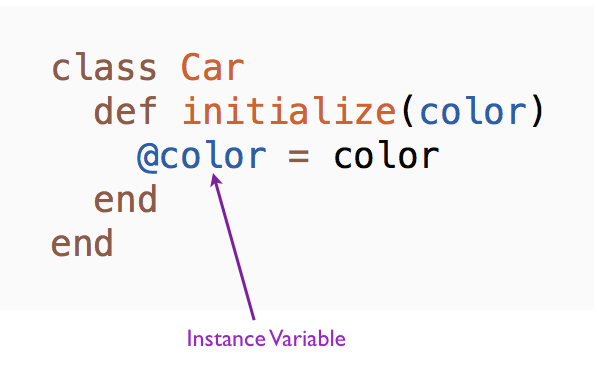 In this example, we initialize the color instance variable @color in the initialize method. We can now create an instance of a car object with a specific color. We send the new() message to the Car class with the color red as the argument. Ruby calls the initialize method with red as the argument. 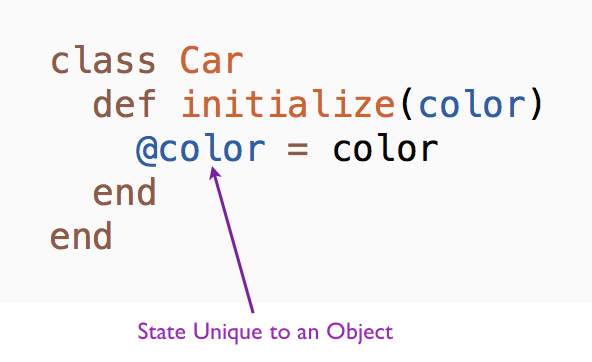 In the initialize method, we store the value of color, red, in the instance variable @color. What happens if you call the initialize method? Let&apos;s call the initialize method. We cannot call the initialize method. Only Ruby can call it. To initialize an instance of any class, always use the new method. Instance variables have nil value if they are not initialized. The nil represents the concept of nothing in Ruby. Let&apos;s look at an example. This prints nil. The Car class has a new method called price that returns the price instance variable of the car. Since it was not initialized anywhere in the Car class, it has nil value. Why is it called an instance variable? Because the variable is unique to a specific instance of a class. 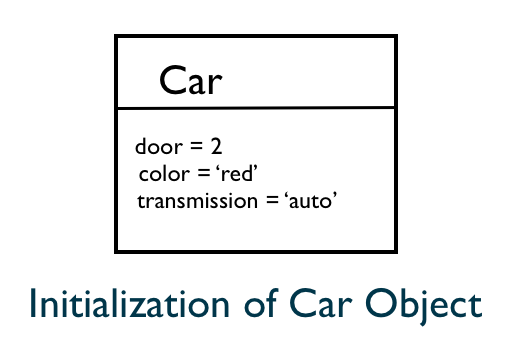 In this chapter, you learned about the initialization of an object. Initialization process instantiates a specific object with certain attributes.